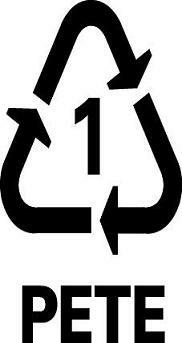 Recognize the commonest-recycling-symbols like the resin- identification-code for one. Become a wiser consumer, and an expert in the world of how to properly recyle your trash. Recognizing these common symbols can help you as a shopper to know what you are using, what you are buying, what has been done with it previously, and what can be done with it in terms of recycling your everyday common garbage. These signs are everywhere, but some people still aren't quite sure what these symbols mean or how they came to be in the first place. 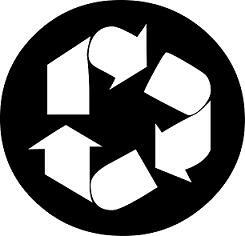 Interestingly, the mobius-loop, as represented by the arrows travelling in a continuous direction, signifies three things in the world of recycling. It signifies collection of materials, recycling and manufacture of new items from the products, and finally the purchase of products made from the recycled materials. The loop represents a continuous circle, or a "circle of connection" that represents a continuous process that must be followed to make the cycle complete. The grouping of plastics numbered from one through seven, is known as the resin-identification-code. 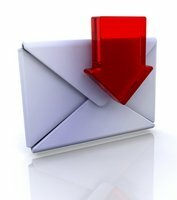 This code was developed by the Society of the Plastics Industry in 1988. Groups of plastics denote specific properties. The symbols are used worldwide for packaging. You can tell whether or not the item can be recycled into a new product. The symbols also help recycling companies to identify them quickly for separation purposes for reprocessing. Consumers can identify these types of codes which are usually found at the base or on the side of the product. 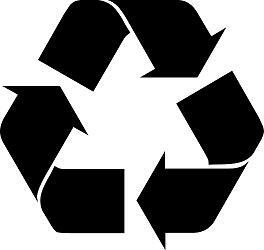 Most recognized worldwide of the commonest-recycling-symbols. that all plastics are recyclable. 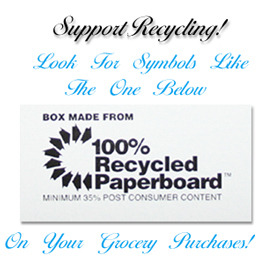 paperboard, or post-consumer paper that has been recycled. Symbol variations, ie with color - no meanings other than the above. A type of paper material as found mostly in boxes. 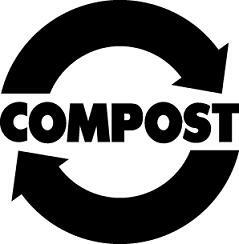 Relates to any item that can be composted. used in the US, which is a circle with an arrow pointing upwards. The word "biodegradeable" appears there as well. There are many symbols out there having to do with green-living and recycling. 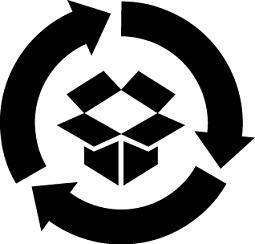 These are currently the commonest-recycling-symbols. Just familiarizing yourself with these to start with will expand your knowledge significantly in regards to managing your own recycling process at home.